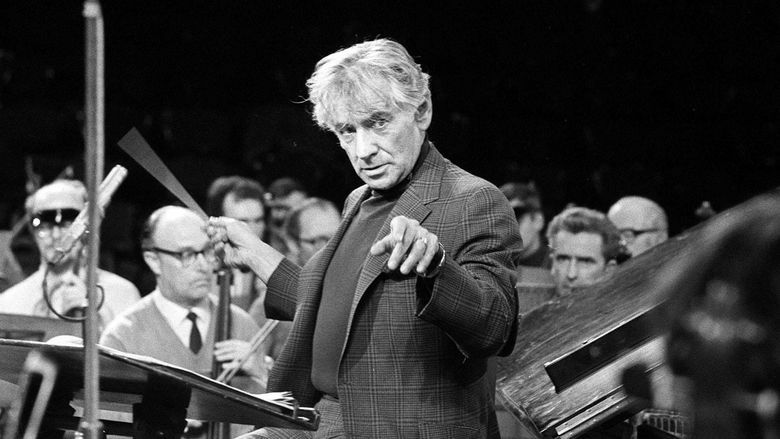 To watch Leonard Bernstein conduct is to be brought under the spell of his exuberance — the grand sweep of his gestures, the intense rictus of his expression. Georg Wübbolt’s hourlong documentary “Leonard Bernstein: Larger Than Life” opens with a montage of impassioned conducting, and the effect is electrifying. “Leonard Bernstein: Larger Than Life” will be featured at a centerpiece screening at the Seattle Jewish Film Festival (SJFF) on March 31. Showcasing dozens of films at locations around Seattle and the Eastside, the festival runs from March 23-31 and April 6-7. Wübbolt’s documentary approaches hagiography with its tiptoeing around the tumultuous aspects of Bernstein’s life, but every piece of archival footage the film employs confirms it: Bernstein was made to be on camera. 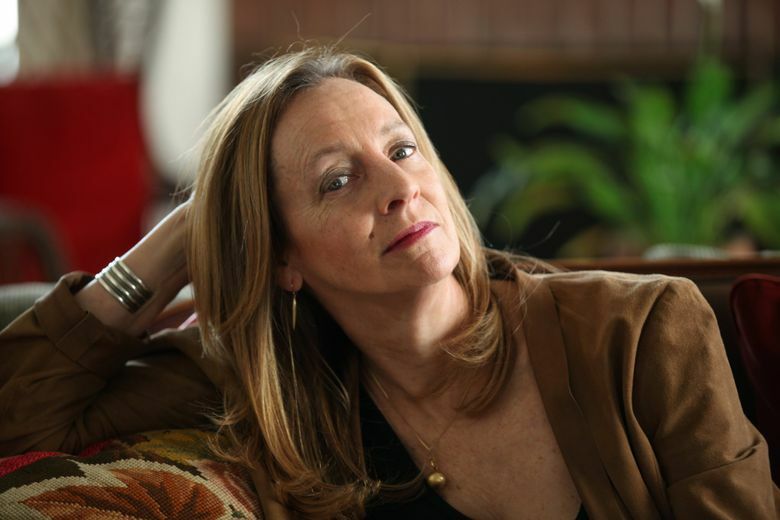 “The real lucky coincidence was that my dad and television came along at the same time, because they were perfect for each other,” said Jamie Bernstein, the composer’s oldest of three children, in a recent phone interview. Jamie will be in attendance at SJFF for a post-screening discussion about her dad and her recent memoir, “Famous Father Girl,” a much more probing look at the man and her complicated relationship with him. Jamie was too young to experience Bernstein’s most famous works as they were being created — she was only 4 during much of the writing of “West Side Story,” for instance — but the detailed journals she kept for many years helped her reconstruct intimate snapshots of home life: “furiously competitive” games of anagrams with Stephen Sondheim, raucous evenings at the piano with Betty Comden and Adolph Green, the production of elaborate home movies with the entire family. And it doesn’t avoid reckoning with what it means to try to follow in the footsteps of a brilliantly accomplished father. Jamie, who felt compelled to be a musician in her own right, eventually realized the futility. “I don’t know why I felt I had to do it,” she said. “I actually tried not to be a musician, but there was something in me that loved music, so I just kept bashing my head against that particular wall. Many of the people Jamie encounters cite those programs as the reason they fell in love with music, she says. But whatever their connection to Leonard Bernstein — the musical theater scores, the orchestral conducting, the infectious music appreciation — there’s a common thread among fans. “The Unorthodox” (March 23): The opening-night film tells a fictionalized version of the rise of Israel’s Shas political party, followed by a Tom Douglas-hosted reception. “Blue Note Records: Beyond the Notes” (March 24): The history of the legendary jazz label, founded by German-Jewish refugees Francis Wolff and Alfred Lion, is traced in this documentary. “Transit” (March 28): The latest film from Christian Petzold (“Phoenix”) ominously layers the past and the present in its tale of occupied France. Dusty Somers: dustysomers@gmail.com; on Twitter: @dustysomers. Dusty Somers is a lifelong Seattle native whose love of the arts has resulted in a distressingly large physical media collection. Right about now, he’s probably watching a movie, seeing a play or listening to a record.